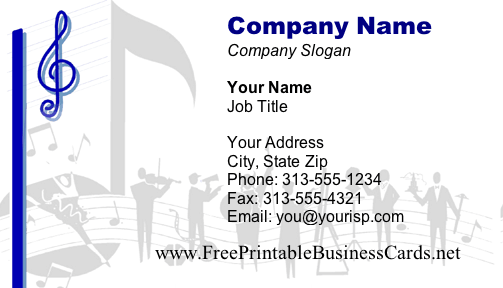 A printable business card with a musical theme, including staff, treble clef, notes and musicians. Business cards and stationery! Free printable stationery that matches this business card design is available at Free Printable Stationery.net.